The cash advance industry has emerged as a high-growth, high-profit industry. Yet, for all of the success stories (there are a lot of them), a lot of cash advance merchants are failing, struggling, or simply not growing as fast and as big as they thought they would. Perhaps your merchant cash advanced business is new, or maybe it’s been established for four or five years. Yet the type of growth you initially envisioned -high profit margins, ever expanding revenues- remains elusive. The pathway from zero to multi-million-dollar company exists, but the Merchant Cash Advance industry is highly competitive, sales-oriented, and the failure rate can be quite high. Let’s go over the basics of securing leads for merchant cash advance companies and outline how you can optimize the whole process. But before we start, who am I to talk about merchant cash advance marketing? Well, Local Marketing Stars has helped numerous small businesses achieve seven figure revenues, and high profit margins. 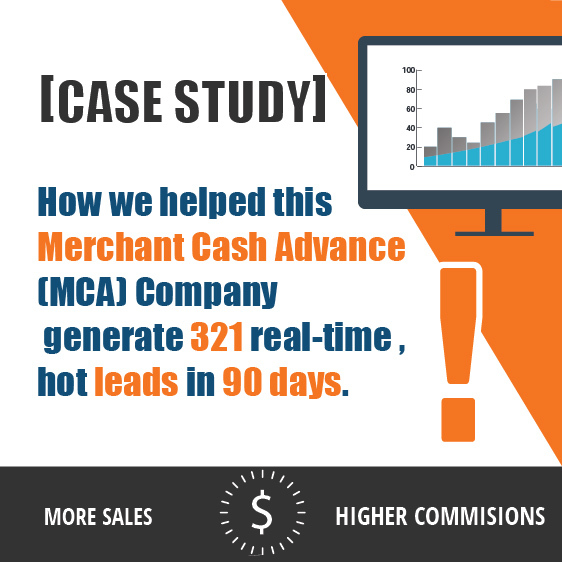 We’ve been working with a lot of merchant cash advance companies as of late, and so far the results have been overwhelmingly positive. It doesn’t matter if your company is a new startup, established but struggling, or even if your company is doing quite well, the expertise and industry insights that Local Marketing Stars can provide could lead to tremendous growth for your company. 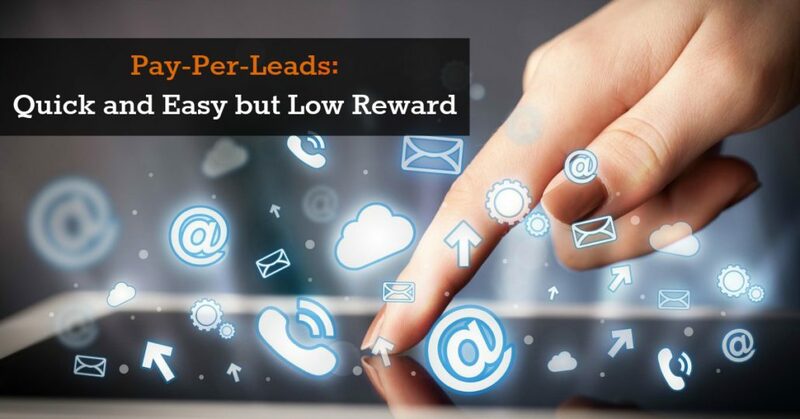 Pay-Per-Leads: Quick and Easy but Difficult to Scale. First, most merchant cash advance companies, and especially those that are new to the business, start out by going after the low hanging fruit. The merchant purchases some “pay per lead” lists, usually consisting of emails and/or phone numbers. The goal is simple: pay for a number of leads, cold-call and contact the leads, hope that some people apply, and that some of those applications turn into funding opportunities. At the end of the day it’s a simple numbers game: did you make more money than you spent? It’s okay to use pay-per-lead lists, but most of the time the conversions will be very low, and it’s tough to really produce a substantial profit. Maybe you’ll make some money, maybe you’ll secure a few hot deals, but it’s unlikely that pay-per-lead lists will offer you enough opportunities to really grow. You can quickly find yourself trapped in a low growth, low reward environment. You might continue plugging along, trying to build momentum, or maybe you’ll take your money and talents elsewhere. Another Pay Per Lead strategy is investing in MCA Live Inbound Transfers. These calls will cost more than the telemarketing lists but they are scrubbed, qualified and then transferred to your team real time. Even within the live transfer option, you have to be very careful what you are paying for. What you want to have is 100% Exclusive Calls Coming From Inbound Sources. There are way too many, so called, MCA Lead Generation companies, who will gladly sell you live transfers but they are neither exclusive nor driven from inbound sources. They are usually called on by an overseas call centers and generated through old, beat-up lists. MCA Live Transfers are great options if you have a small team and you only want to deal with really qualified prospects, instead you dialing 200 numbers a day. The next method people frequently turn to is paid advertisements. Why not just buy an ad on Google search and every time someone searches for a “merchant cash advance” or “small business loan” they will see an ad for your services? Thousands of people search for “merchant cash advance” each month. Tens of thousands of people search for “small business loan.” Problem is, you’re going to have to pay $20, $30, $40 dollars or more for a single click! Ads can get very expensive very quickly. Worse yet, many companies launch expensive advertising campaigns without having the right system in place. They buy ads, but don’t have high converting landing pages, or don’t have the staff in place to make follow up phone calls. Before you spend on advertising it’s essential to make sure you have the right system in place to handle and optimize leads and traffic. Your staff will need to know how to close deals, and your web presence must simply be top-notch. No poorly designed websites or half-constructed efforts allowed. When it comes to paid advertising campaigns, if you take the time to really optimize your advertising campaign, and you really focus on converting leads into opportunities, you can produce tremendous revenues. However, it’s important to be patient. An advertising campaign can take two months or more to really gain traction. Further, you must constantly be refining your work and efforts. You should also be prepared to spend a lot of money. Five figure advertising campaigns are common, if anything. Now, we can finally get to the “golden goose”, your organic inbound funnel. Inbound marketing has by and large proven to be the most effective form of advertising possible. Paid advertising is “push” advertising. You pay to get in front of someone’s eyes. With organic inbound, you produce content and media that draws people in (hint: this article is inbound). First, you create a “funnel” (some marketers are moving away from “funnels”, instead embracing the more dynamic “customer journey” model. For now, the funnel analogy holds true). This funnel will feature content and other methods to draw people into optimized landing pages, and to provide information, such as email addresses and phone numbers. These leads can then be converted into funding opportunities for your merchant cash advance business. The goal with organic inbound marketing is to get people to find out about your website naturally, such as through social media or through search. You become a trusted source for information regarding your industry, in this case merchant cash advance, and a trusted expert for people who are looking to learn more. Your company blog keeps people informed of the latest happenings, and your monthly newsletter and social media profiles are trusted sources of information. Instead of paying for clicks, your organic content draws people in. Ultimately, your goal is to develop a true “multi-channel” marketing system. 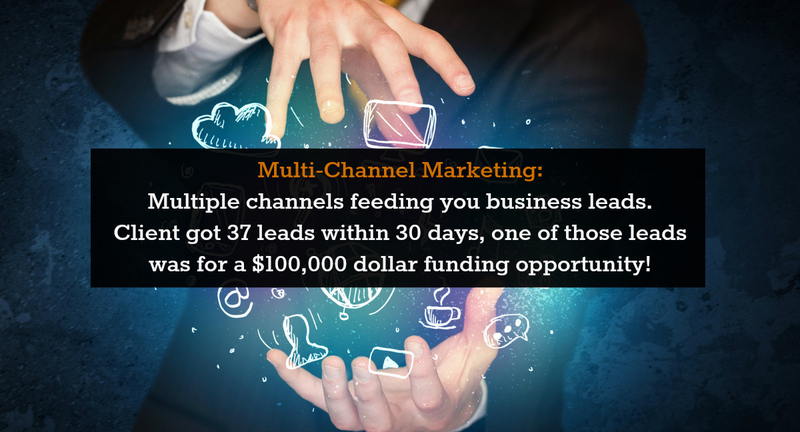 You will have multiple channels feeding you business leads. One customer I recently worked with, I helped him redo his entire website. We built up engaging content, created high performance landing pages, published a report right on his website. It was time consuming work and took us about a month just to get everything in place. Now, thirty days is a short amount of time in the SEO/inbound world, but the results came quickly. My client got 37 leads within 30 days! Most importantly, one of those leads was for a $100,000 dollar funding opportunity! For my client, this was a huge break. That one deal provided enough funds not just to keep the lights on, but to also pay for more content generation, advertising, and other things. There’s no one “right” approach marketing. I’m not as big of a fan of paid lists, but that doesn’t mean that they can’t work if you have the right system in place. At the same time, there’s nothing wrong with spending big on ads, again so long as you have the right system in place. If you don’t have the right system in place, your efforts will be wasted, or at least sub-optimal, no matter what approach you take. That being said, I personally believe that an aggressive, organic inbound SEO strategy is a must for any merchant cash advance vendor who wants to really dominate the industry and maximize profits. Getting yourself to the top of search engines and on the front page of Google will help you draw in as much business as possible, and you won’t have to pay for clicks. A strong inbound strategy will reduce marketing costs over the long-run, and help you establish yourself as a leader in the merchant cash advance industry. https://localmarketingstars.com/wengine/wp-content/uploads/2017/04/featuredimage-leageneration1.png 836 1600 Oguz Konar https://localmarketingstars.com/wengine/wp-content/uploads/2017/06/local-marketing-stars-e.png Oguz Konar2017-04-04 18:56:432017-10-29 12:47:28How to Build an Ultimate Lead Generation Machine For Merchant Cash Advance Companies. Have you been leveraging one of the most powerful and targeted marketing strategies available in digital marketing? You know what it is, it is called Facebook. Do you know that Facebook can help you attract prospective clients, drive sales, and secure your spot as the leader in merchant cash advance industry? Facebook has become a strong marketing tool for all type of businesses, seeing how this social networking platform now boasts around 1.8 billion active monthly users with 1.15 billion of them log into their accounts every day. Hence why there is no doubt that a strong Facebook strategy can yield excellent returns. However there are still a lot of companies do not use Facebook marketing because they are too conservative, or don’t know how to get or track return on investment using this platform. There are also businesses who tapped into this platform but haven’t gain the returns of their dreams or struggling to penetrate markets with Facebook because they don’t understand how to manage it. Merchant cash advance providers who understand the power of Facebook and have taken the time to test and understand the platform are getting remarkable results from their Facebook marketing. They use it not only as a marketing vehicle for lead generation, increased revenues, but also to stay relevant in the industry and build their brands. If you are a merchant cash advance provider, here are some basic knowledge about Facebook marketing strategies. This most popular button on Facebook is a really handy marketing tool. When your friends Share, Like, or Comment on one of your pages/posts, these interactions appear in their friends’ News Feeds. This serves as an introduction and endorsement for your business. These endorsements are more effective than an online ad because the opinions and actions of friends matter more than a random advertising. To track your shares, you can use Page Insights. It’s an analytical Facebook tool that displays your share count per post, as well as which one’s users engaged with most. Website traffic is mainly what marketing with Facebook is about. In Facebook, users who visit your site are highly targeted, there is a good chance that they will make an appointment, in which case will turn into leads. To drive referral traffic you must provide great contents. You create engaging posts that relate a story about your services or products and how they can be beneficial, as well as sharing useful advice, or information that solves problems and adds knowledge. Contents with images usually will generate more Likes, Comments, and Shares, following by more web traffic. Site traffic and stats can be tracked with Google Analytics. Generating quality sales leads is critical for merchant cash advance providers. This is why it is important to include a call-to-action in your contents. Posting an online application link on Facebook is significantly important for a merchant cash advance lead generation strategy. Potential clients will click the link which connected to your business website, where they have to provide emails and contact numbers when they enter – this turns them into leads, followed by appointments after you contacted them. Use lead generation software to track leads. Another great benefit of Facebook marketing is that this social network has a wealth of information on its users, allowing FB marketers to mine data and adapt their marketing strategies and brand development by improving web traffic, conversions, and sales strategies. Facebook’s Page Insights gives you valuable demographic information about your fans, such as age, gender, location, and language. It also shows your reach, engagement, page/tab visits, and more. Paying for clicks (PPC) is a common Facebook marketing practice. You create an advertisement and it goes live. Every time somebody clicks through to your website via that ad, you pay. Since prospects cannot see your ad when they want to see it, you need to motivate users to click through to your site. Hence why creating various interesting contents is important, because it will attract clicks. When potential customers click through, they should land on a page that is directly related to the ad. This increases the likelihood of a sale. Planning on Merchant Cash Advance Advertising? Paid Advertising is your solution! People who are working in the merchant cash advance industry are well aware of how challenging merchant cash advance advertising can be. With a number of merchant cash advance providers emerging rapidly due to its popularity amongst small businesses, the competition is getting tough. Moreover, as a merchant cash advance provider, you know building clients is not easy. One of the best approaches to finding prospective clients is to buy a quality leads list. Merchant cash advance leads can be beneficial for your merchant cash advance business. These lists contain names and information on those businesses who are new in the industry, generally startups that do not have a good credit rating. Owing to their bad credit history or no credit at all, the banks are not ready to fund them, and these startups aren’t able to meet the tough criteria set by the traditional banks. 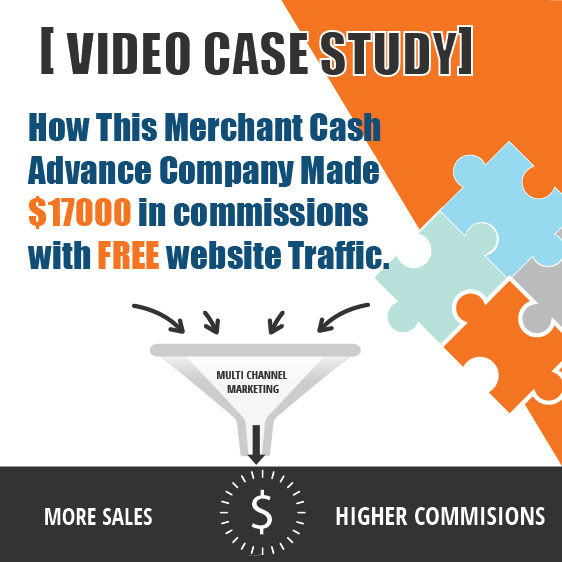 So, merchant cash advance turns out to be the best funding option for them and, that’s how these lists can be a very useful tool to generate leads for your MCA business. But what happened after you got the lists? We’ve seen many people are buying these leads and they talked on the phone and within the five minutes, they disqualify the person and what happen after that? Nothing. There’s no follow-up process, which then made your lists became useless. You can’t just rely on your own team’s sales skills, you need to have a system in place. Most people do not realize that converting leads is a big job that requires adequate knowledge about marketing tactics. When people have generated leads from their lists, usually the next phase they should be thinking about is the Paid Advertising. So how is this different than buying MCA leads? 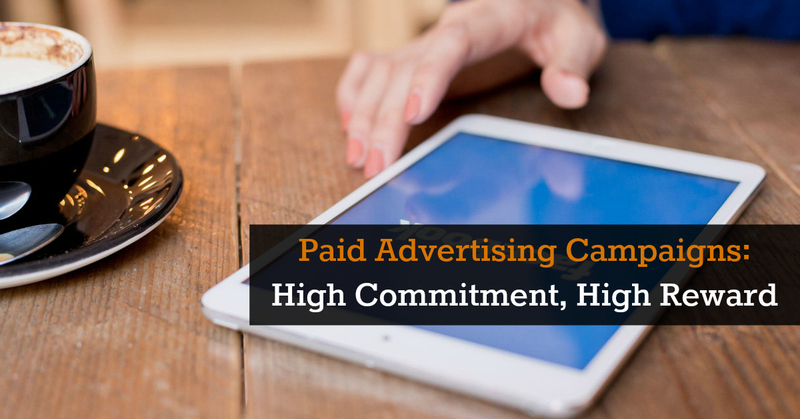 Paid Advertising is where you generate leads and opportunities through putting some ads on Google and Facebook and another digital marketing area. Paid Advertising is a perfect choice for MCA businesses who have a little bit more fund to spend their advertising budgets. Paid Advertising is a system which can bring you a consistent amount of inbound leads. These leads are not inept, they haven’t been called on cold by various different companies before, and they haven’t been resold by companies in this industry. These leads are exclusively for you. The caveat with this is that it takes the time to ramp up a paid advertising campaign. The process of launching live campaign, managing Google and Facebook’s algorithms to understand what it is that you’re trying to accomplish until they can consistently bring your leads will take more or less 45 to 60 days. A lot of the companies who tried this usually stop because they don’t have patience. 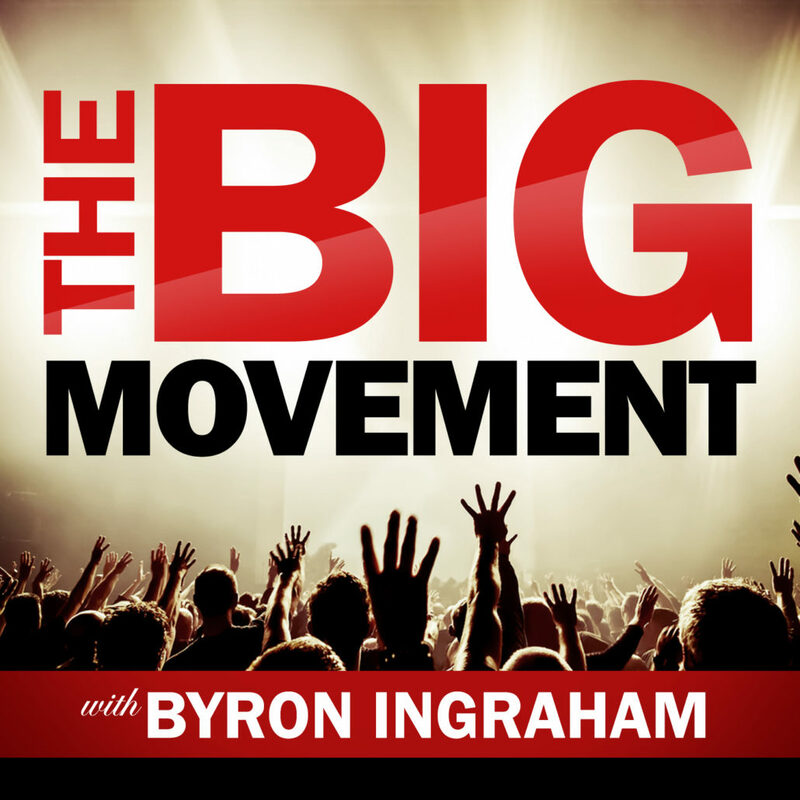 They expected a paid campaign to work and bring them tons of leads within 30 days. Unfortunately, it doesn’t work that way. You need to have the patience and be serious about doing this paid advertising. And if you continuously nurture your campaign, this tactic is going to bring you a massive amount of leads. So while buying a merchant cash advance leads list proves quite helpful, you must also think the about the next phase. Knowing the right marketing tactics suitable to your goals and your business’s outlook will help you win clients and sell business loans more efficiently. 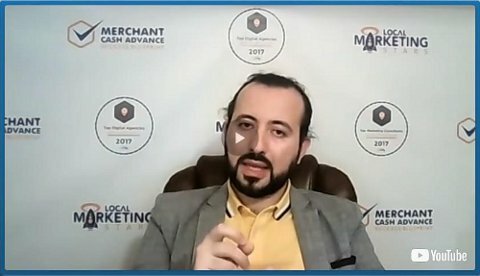 If you want to learn more about Paid Advertising for your Merchant Cash Advance business, or looking for a provider to help you with your Paid Advertising activity, please visit us at https://localmarketingstars.com/ for more information. 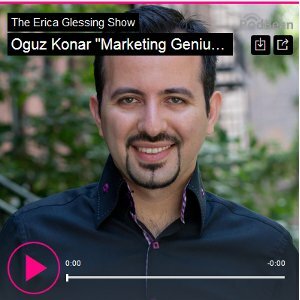 https://localmarketingstars.com/wengine/wp-content/uploads/2017/04/PlanningonMerchantCashAdvanceAdvertising.jpg 329 629 Oguz Konar https://localmarketingstars.com/wengine/wp-content/uploads/2017/06/local-marketing-stars-e.png Oguz Konar2017-04-29 11:12:272017-04-27 06:01:00Planning on Merchant Cash Advance Advertising? Paid Advertising is your solution! Merchant cash advance funding is now popular among small businesses who would like to secure instant cash required for running or expanding their businesses. Cash advance funding is easy to procure, with low processing time and does not require a good credit history. This is why the number of financial institutions providing merchant cash advance funding to businesses is exponentially increased. However, even though merchant cash advance industry offers many attractive benefits, most businesses are either wary of it or never even heard about it. Here is where an excellent marketing strategy is needed to advertise your merchant cash advance business. 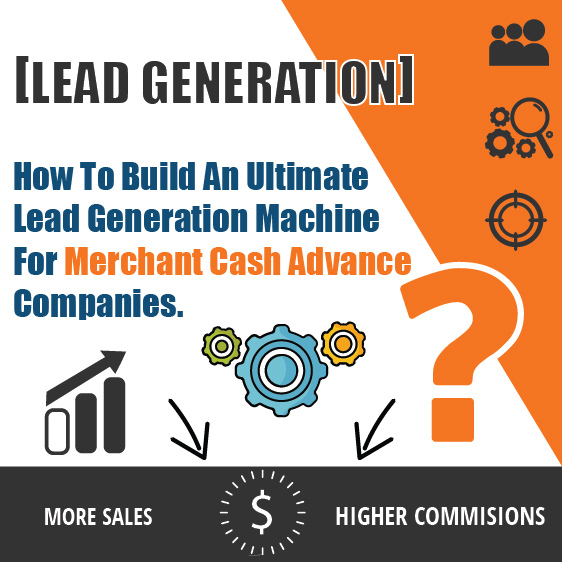 Aside from the old traditional marketing strategy such as cold prospecting, lead generation is also crucial for merchant cash advance companies to know which businesses are interested in getting funding from this cash advance. Lead generation has helped a lot of companies and has proven time and time again that it is one of the best marketing strategies compare to the traditional strategy. With lead generation, the process of finding possible leads can be a lot simpler and easier for merchant cash advance businesses. The traditional marketing strategy emphasized on using cold prospecting as a way to attract new business. Cold prospecting is a way of getting clients. It involves random conversations with people with the hopes of hitting a possible client. It actually works in some occasions, but as they say, you will get a lot more no’s than yes. Unfortunately, with this strategy, merchant cash advance companies must spend most of their time finding the right leads first, and then spend more time in convincing the leads, and wait until the customer decides whether they are interested or not. Merchant cash advance lead generation is done by buying leads from trusted leads agencies. Leads or sales leads is basically the identification of a person or entity that has the interest and authority to purchase a product or service. By buying leads, merchant cash advance companies can focus their energy working on closing out deals because they are connected to the right leads. Buying leads is a powerful strategy utilized by a lot of businesses nowadays. It proves to be a good way of generating revenue and strengthening a company’s foundation. Compared to traditional marketing aides or strategies it assures efficiency, quality, and conversion. Taking all of these things in consideration. Buying leads will definitely give an edge to a merchant cash advance firm. In the case where marketing is a priority and allocation of funds would be no problem, it would be best to look into purchasing leads to help boost your sales revenue. As you can see, not only will it cut the time spent on training and looking for customers. It also cuts the overall operation expenses in the long run. If you want to learn more about merchant cash advance lead generation, or if you are looking for the best lead generation services for your merchant cash advance business, please visit us at https://localmarketingstars.com/ for more information. One of the most important factors when it comes to running a business is Marketing. A good marketing plan will help a company grabs bigger market shares and increase its sales. Especially so for merchant cash advance businesses. With the fierce competition in the market due to the popularity of this funding method, finding new prospective clients in merchant cash advance industry is definitely not easy. Yet, when it comes to marketing strategy, somehow many cash advance businesses keep on making marketing mistakes that could easily be avoided with just a little bit of knowledge and expertise. Here are some highlights of the common mistakes that a business owner can avoid in the future to increase chances of success. Many merchant cash advance companies expecting to gain good results from the beginning only with their initial investment in the business. Putting a lot of effort in the business is necessary, but sometimes the results won’t be as good as you expected. Making an effort to run the business should sometimes also means investing more in the business to support your marketing plan. When a business owner put an effort into marketing the brand from the beginning through reasonable investment, such as buying qualified leads from reputable institutions or hiring an experienced merchant cash advance lead generation provider, it will be a lot easier for the business to sustain in the business and finding their potential clients. Up to this day, we still find many merchant cash advance companies start their business without a solid marketing plan. This is a major mistake because marketing plan helps the business owner to focus on how they would want to promote their services to the market, who would be their ideal client profile and how to approach these prospective clients. Without this information on hands, the whole marketing and selling efforts for your cash advance business will be useless. Here is where having qualified leads will be advantageous for merchant cash advance companies. Qualified leads usually contain complete information about companies looking for cash advance loans such as name, company name, business size, etc. Having an access to these leads will help your merchant cash advance lead generation campaign go smoothly from the very first start. Other big mistakes merchant cash advance businesses make is not standing out from their competition. The combination of lack of solid marketing strategy and refusal to invest in marketing activities usually put many cash advance businesses in nowhere position and continuously struggling to survive in the industry just to get noticed. It is not easy to stand out from the competition, which is why it is important for a cash advance business to look into their services, find what is their strengths and their unique position in the market. Actively asking existing customers on why they chose your business instead of others also a great way to find out your unique standpoint. We’ve seen it too often. Many businesses thought after investing money into their marketing plan, the results should come immediate and with positive returns. Unfortunately, here’s what business owners must be aware of, expecting immediate results in your marketing plan is unrealistic, in any type of business. Marketing takes a little time to be implemented and takes the time to be fully operating and bringing returns to your business. Most traditional merchant cash advance companies still relying on just one or two marketing channels to generate leads. What they failed to realized is that now in the digital era, they can take advantage of the variety of other marketing channels. Aside from traditional marketing such as word of mouth, local marketing activities, printed media and cold prospecting, we now have options to use the world wide web to promote our businesses. Many successful merchant cash advance companies use multi-channels marketing such as business website, email, social media promotions or paid online advertising to generate more leads.